The excitement builds as the new Bentley Continental GT V8 coupe will make its official Texas public debut at John Eagle European’s Bentley of Austin on September 6. It’s so big that Christophe Georges, president and chief operating officer for Bentley Motors, Inc., will personally introduce the car to the media at 10:30 am CST and then to invited guests at the Texas dealership later that day. A pair of the stunning motorcars will be displayed at the dealership (12989 Research in Austin, Texas) through Saturday. “The new Continental V8 engine is an all-new, state-of-the-art offering that gives a completely new character to our Continental range and offers a different customer proposition in performance, handling and efficiency,” said Christophe Georges about the launch of the new V8 Continental. John Eagle European’s Bentley of Austin is the 47th Bentley location in North America and will be the first unveil the car in Texas. 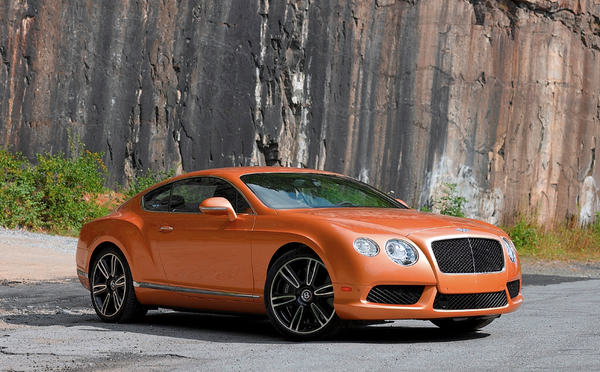 Opened in April 2009, it services and sells a full range of new and pre-owned motorcars from Bentley. "We’re pleased that Bentley would introduce their fabulous new V8 motorcars to Texas at Bentley of Austin,” said Sonny Morgan, dealer principal at Bentley of Austin. “The new 4 liter, twin turbocharged Continental GT V8 and its convertible counterpart the Continental GTC V8 deliver exceptional standards for the high luxury sports car sector. Nimble and beautiful, Bentley’s famous wave of torque makes the cars perfect for motoring in the Texas Hill Country.” Plus, it is a gorgeous car. Some cool facts: this new Bentley V8 engine delivers 500hp and an extraordinary peak torque of 487 lb-ft., which is available across virtually the entire rev range; this provides exhilarating performance and effortless power delivery in the Bentley tradition. Combined with a new close-ratio 8-speed automatic transmission, this translates into a 0-60 mph sprint time of 4.6 seconds for the GT coupe and a top speed of 188 mph. The new V8 engine features variable displacement with a highly sophisticated engine management system, ensuring a seamless and imperceptible transition from V8 to V4 mode under light throttle load. The high-technology V8 also features high pressure direct injection, low friction bearings, thermal management, energy recuperation via the charging system, and innovative turbo charger packaging for greater efficiency. Both Continental V8 models feature a state-of-the-art, all-wheel drive system employing an advanced Torsen differential and a 40:60 rear biased power split. This ensures safe yet dynamic sports car handling in all road conditions. Expressing their potent, muscular character, both new Continental V8 models are distinguished by a black gloss matrix grille with chrome frame and center bar, a distinctive red enamel Bentley ‘B’ badge, and a black matrix three-segment lower front bumper divided by distinctive body color strakes. At the rear, unique chromed ‘figure eight’ exhaust tailpipes, a dark lower valance and red enamel ‘B’ bootlid badge emphasize the sporty, contemporary identity of the new V8s. The Continental V8 models can be specified with 20-inch alloy wheels as standard or an optional 21‑inch six-spoke design which is available in dramatic Diamond Black (exclusive to the Continental V8) or Diamond Silver finishes. Inside the cabin, an Eliade cloth headlining, new contemporary Dark Fiddleback Eucalyptus veneers, optional two-tone leather color split and short center console continue the fresh, sporting design theme. Bentley of Austin is now taking orders for the new Continental V8 models with deliveries expected to begin in the last quarter of the year and additional information about John Eagle European is available at www.johneagleeuropean.com or by calling 512.401.2663.